TPU reports HIS introduced a Radeon HD 7850 IceQ X² and Radeon HD 7850 IceQ X² Turbo graphics card. Both models feature the IceQ X² dual-fan cooling solution from HIS, the regular version has the sotck clockspeeds, this means a 860MHz GPU and 2GB GDDR5 memory clocked at 4800MHz, while the Turbo version has a 1000MHz core. Both cards feature a compacted IceQ X² dual-fan cooler by HIS. The cooler uses a copper heat-pipe fed aluminum fin stack, which is ventilated by a pair of 75 mm fans. HIS claims the cooler runs at 28 dB when idling, and keeps the GPU cooler than AMD's reference design cooler. The PCB features an 8-phase VRM, which the company claims, can supply 66 percent more current than AMD's reference design PCB VRM. 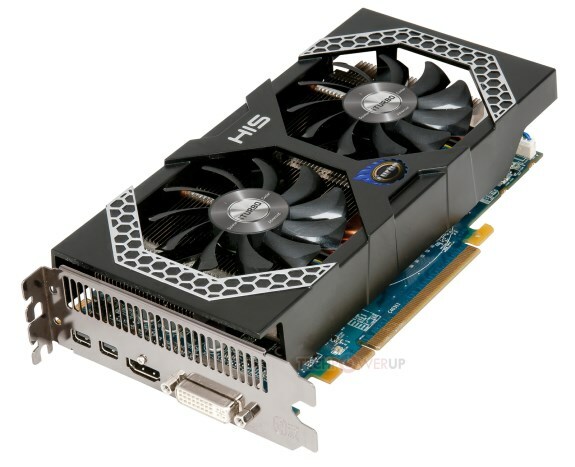 Pricing varies by region, but we expect the cards to be competitively priced around the GTX 650 Ti.